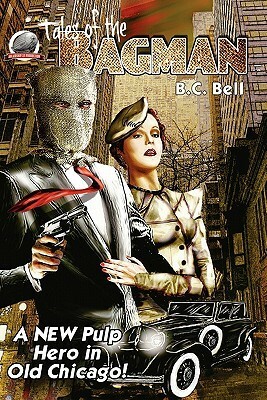 Tales of the Bagman by B.C. Bell - Reading Room - Craxme.com - Powered by Discuz! The Bagman! Inthe mid 1930s, Chicago was one of the fastest growing metropolises in thecountry. Situated on mighty Lake Michigan, it was the home to millions of hardworking Americans looking to a better themselves. The Windy City was alsoshackled by its bootleg history, a time of violent gang wars that hadpermanently established a brutal underworld empire second to none. Corruptionwas the order of the day and both the police and government were in the pocketof the mob bosses. Frank 'Mac' McCullough was a foot-soldier in one of thecity's toughest crime families until he was ordered to rough up his uncle; adecent man with a gambling problem. The innate decency in Mac rebelled andsuddenly he found himself up against the very men he had once admired andfollowed. Determined to put an end to their lawlessness, he put a bag over hishead as a crude disguise only to become labeled the Bagman by the press. WriterB.C. Bells tells the amazing stories of old Chicago's most unique hero. Aidedby solely by a tough, black WW I veteran named Crankshaft, the Mac wages waragainst the mobs in fast paced, non-stop action tales pulp fans will cheer.Featuring nine illustrations by Kelly Evereart and a cover by Laura Givens.Airship 27 Productions is thrilled to present pulpdom's newest avenger, THEBAGMAN.